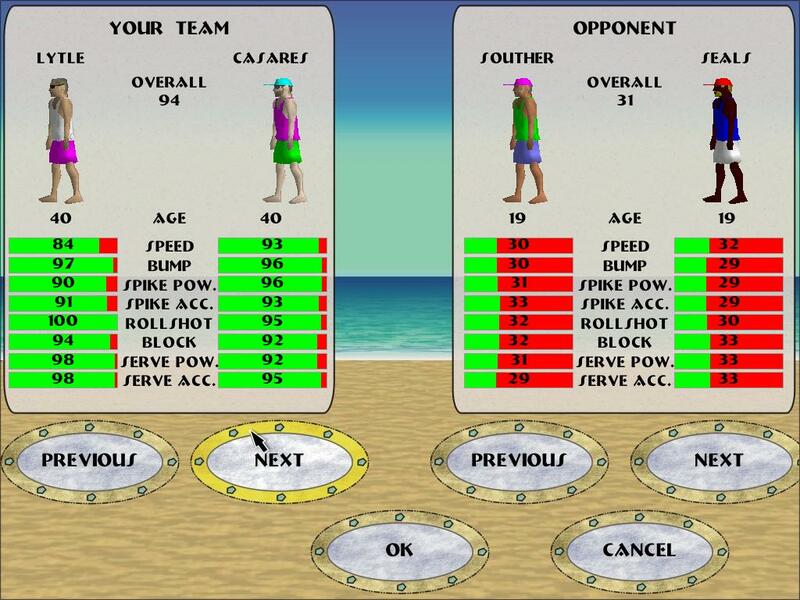 Complete player editor lets you customize a players clothes, skin color, hair color, facial hair and more! 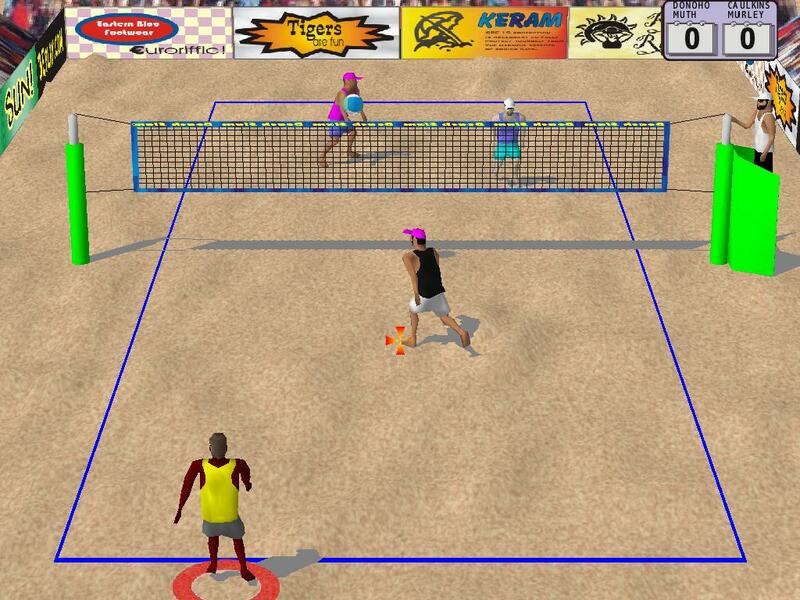 Create, customize and improve your team through the World Beach Volleyball Tour. Watch your team develop over a 20-year career! Before each game you see the opponents' skill ratings. Use these ratings to determine which of the 2 players is the better spiker and direct your serves away from that player. Don’t forget to look at the Rollshot skill as well. Try to aim your passes fairly close to the net, this gives your partner a better angle to set the ball. However, make sure your passes are close enough to your partner so that he doesn't have to go too far to get to it. The location of the set is very important in determining how good the spike will be. You have two goals in spiking: avoid the block, and avoid the digger. Try to have your best blocker blocking, and your fastest player digging. However, if your digger is not a very good spiker it may pay off to have the better spiker do the passing.